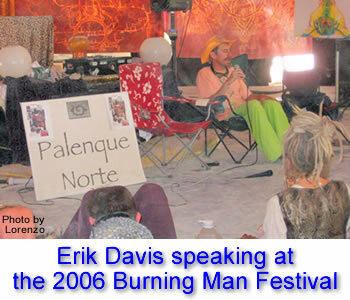 In his inspiring 2006 Palenque Norte lecture at Burning Man, Erik Davis takes a peek at what the future may have in store for us. And contrary to so much of the doom and gloom we hear all around us these days, Erik’s message is that there is much hope for humanity in the future. This talk is certainly thought-provoking and is not to be missed. Posted in Burning Man, Culture, Erik Davis, Evolution, Future, Palenque Norte and tagged Burning Man, Culture, Erik Davis, Evolution, Future, Palenque Norte.